Minhou Phoenix Handicrafts Co., Ltd.
Xianju County Youpinhui Furniture Co., Ltd.
Shandong Lingjia Arts & Crafts Co., Ltd.
We have our own workshop and workers, so we can provide the direct and efficient service. We also have our independent material supplier, we can customized the standard wood material based on the clients&rsquo; requirment. So it will be save the cost for the client again and will also provide the timely and efficient service to the customer. 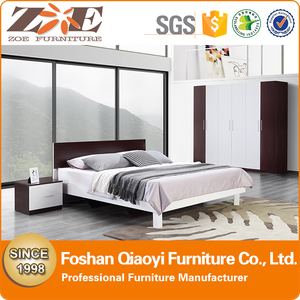 Xuzhou Forever Furniture Co., Ltd.
Shangrao Homey Household Co., Ltd.
Q2: What is the Shipping Cost9 A: If you want to know the shipping freight, the shipping cost is determined by the destination port, weight, packing size, total CBM of the goods. Q3: What is your MOQ9 A: If customer have agent in China arrange the delivery shipping for you, there will be no MOQ limited, that means customer can order 1 piece and the price will be offered as EXW factory price. B: If customer needs us arrange the delivery shipping, the MOQ will be one set (the total cubic number of the order must more than 5 CBM). Shouguang Simaite Trade Co., Ltd.
2. We have a strong sales team stand by for your inquiries, and 24 Hours online serving. We will reply your inquire within 1 hour in working Days. All Mirrors can be customized , with size and color. 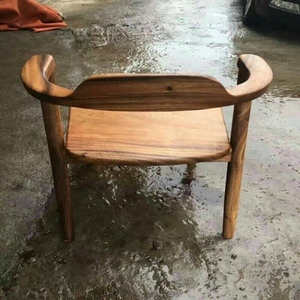 Cao County Baoyilai Arts & Crafts Co., Ltd.
Caoxian Cloud East Arts&Crafts Co., Ltd.
Caoxian Lvzhou Arts&Crafts Co., Ltd.
Foshan City Shunde District Binxin Furniture Co., Ltd.
Fuzhou Lamhome Industry Co., Ltd. Thus we have a good control on the quality and lead time. OEM order 2. May I make the sample order first9 Sample order Sample charge is 2-3 time of price, it will be deducted from your order. Sample lead time is about 10-15days 3. What's the MOQ of order9 We accept QTY with 200-300pcs/item, order with full container, LCL accepted based on the additional export charge. Anji Fuisland Furniture Industry Co., Ltd.
OEM and ODM orders are welcome W e also offer Services as follows: 1. Quick Response: Your inquiry will be replied within 24 hours. 2. Smooth Communication: Well-trained and experienced staffs to answer all your inquires. 4. OEM Accepted: We can customize your product to meet all your different requests. Our Mission We offers the most fashionable,premium products and the newest market news for customers. We'll show you the photos of the products and packages before you pay the balance. Q6. What is your sample policy9 A: We can supply the sample if we have ready parts in stock, but the customers have to pay the sample cost and the courier cost. Fujian Art Champ Trading Co., Ltd.
Jiangxi Jingsheng Arts & Crafts Co., Ltd.
, established in 2004, is a company with factory and trading department. The company is located in Jiangxi China which is near Ningbo and Shanghai port. We sincerely welcome you to contact us for future business relationships and mutual success. 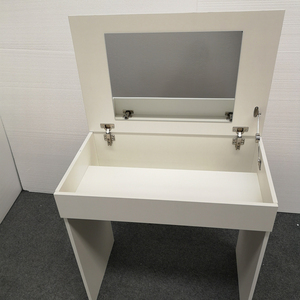 OEM /ODM are aceptable for wooden dressing table . 2 any size and color are available according to your choice! 7 if you are interested in our products, pls. 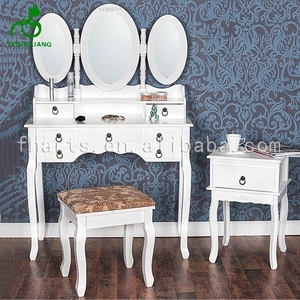 Foshan Angkelei Furniture Co., Ltd.
Heze Boshang Wood Craft Co., Ltd.
Shijiazhuang Digu Trading Co., Ltd.
Alibaba.com offers 3,892 dresser mirror designs products. About 62% of these are dressers, 12% are bedroom sets, and 3% are mirrors. 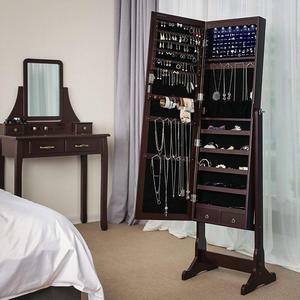 A wide variety of dresser mirror designs options are available to you, such as wooden, glass, and metal. 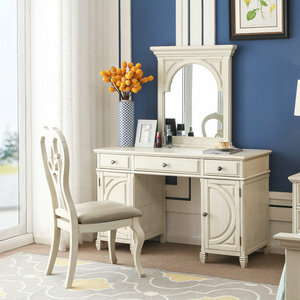 You can also choose from dresser, bedroom set, and living room cabinet. As well as from modern, antique. And whether dresser mirror designs is bedroom furniture, or living room furniture. 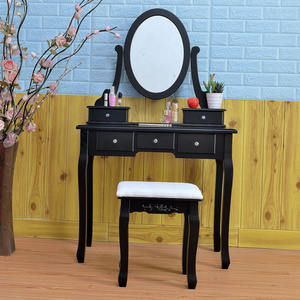 There are 3,804 dresser mirror designs suppliers, mainly located in Asia. The top supplying countries are China (Mainland), Malaysia, and Indonesia, which supply 96%, 1%, and 1% of dresser mirror designs respectively. 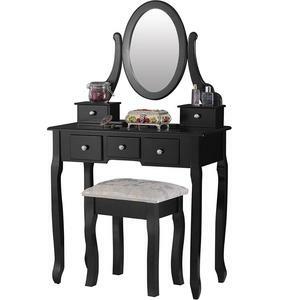 Dresser mirror designs products are most popular in North America, Western Europe, and Mid East. You can ensure product safety by selecting from certified suppliers, including 346 with ISO9001, 330 with Other, and 143 with FSC certification.